Engaging, Fun, Full of Energy! 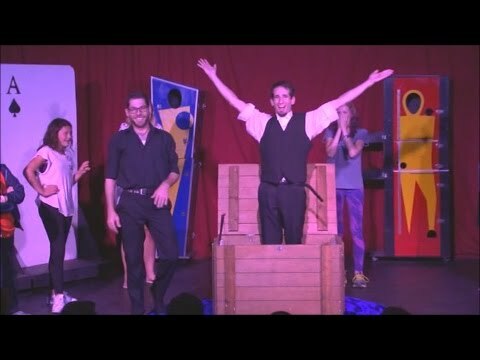 Award-Winning 1st place NYC Magician! 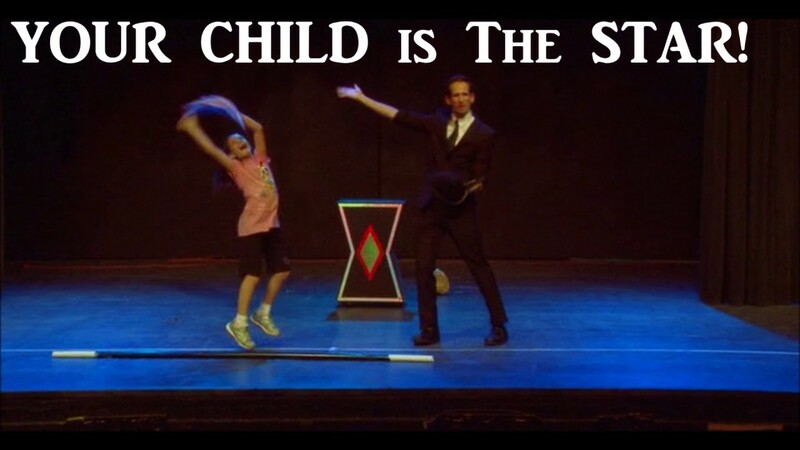 Close-Up / Illusions / Family-Friendly Magic Show / School Assembly / Mind-Reading. For Birthdays, Holidays, Graduations & Communions. Everyone's involved in an exciting & fun magic show! "WOW" moments, laughs, volunteers, & magical memories! Volunteers are the star of the show! 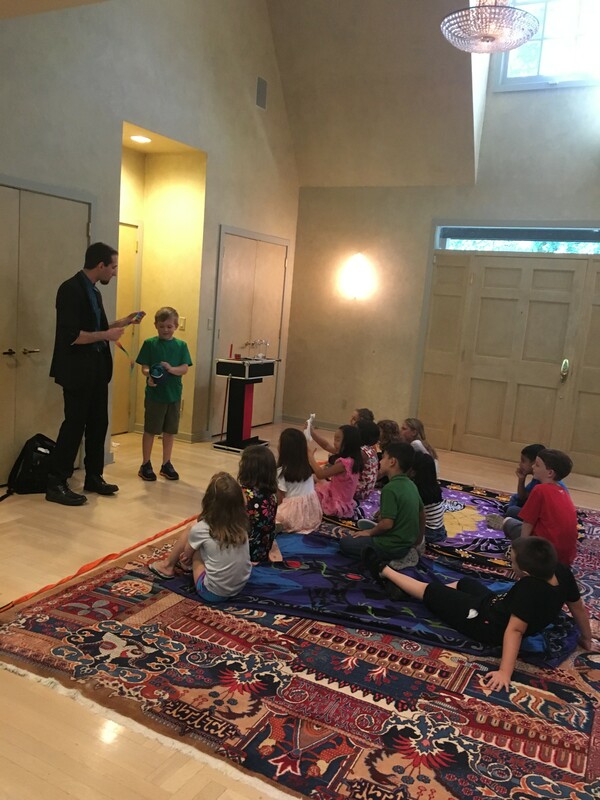 Kid Shows: "Floating Child Show" / "Music & Backdrop" / "Basic"
10+ years Performing & Teaching Magic / working with children. Audiences of 5 - 999 guests. We booked Joshy K for my nephew's 4th birthday which consisted of kids aged from 4-9 As b everyone, adults included were enamored! He wwwwas funny, prompt, courteous, and everything you could ask for! Do go ahead and book him for your next event! JoshyK performed for my daughter's 11th birthday. And everyone was AAAAMAZED at his tricks! He is warm and sweet and respected our home. He showed up on time and called when he said he was going to call. He mingled with my family continued to interact with the kids after the show. I'm still wondering how he pulled off the close-up magic. Even after doing the trick for a 3rd time, I was still confused and wondering how he did it! He performed the right show for this age group. Thank you JoshyK for a birthday we'll NEVER forget! Book JoskyK now...you won't regret it! And Joshy K comes out triumphant with the toughest crowd yet, TEENAGERS!!!!! Joshy performed at my daughter's sweet sixteen and pulled out all the stops!! The kids were completely on board the second he came out and started the show. His energy was contagious and before long the kids were jumping up and down to volunteer for the show. We couldn't have been happier!!! Raven's friends were an amazing audience. I would love to see any videos you and Raven's friends recorded to add to my website. Spread the word so Raven's friends know! Mingled... kept guests engaged. Exactly as promised. Joshy K was great - he put on a close up show for our company holiday party that had everyone captivated and entertained the entire time - from kids to adults. He was really funny, went with the flow of the room - and the magic was the best part!! We had Joshy for a housewarming party with kids from very young to late teens and a few adults. He provided top-notch entertainment for everyone! Highly recommend. Joshy was great, very professional, on time, flexible, easy to get a hold of, and most importantly, very magical! Joshy was great at managing a group of five year olds, they were all completely captivated, parents kept asking where I found him. 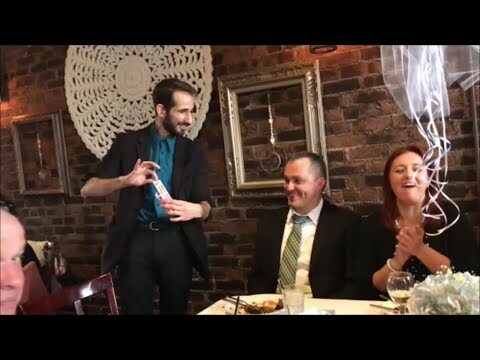 Our guests were very entertained by Joshy K. The strolling magic was perfect for our sit down retirement dinner. Guests were clapping and laughing with delight. Josh did a great job entertaining the children. My family and friends loved the show. My son and the kids that participated really felt special. 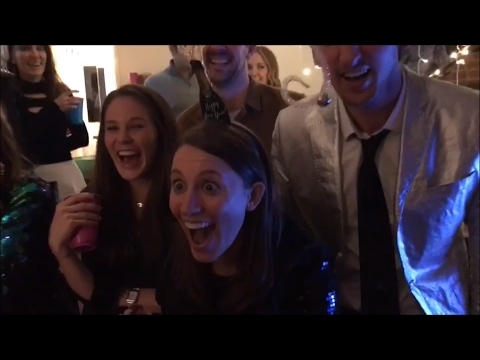 The adults were thoroughly entertained. A fabulous performer. Had us intrigued and always amazed! Josh K performed for small children but also for adults. It was fun, entertaining, and we were amazed at his tricks. He was great with the kids and they were mesmerized!! Will absolutely have him back. He did a great job! Really entertaining, for both the kids and the parents. Would absolutely recommend him. On time, communicative and kind. A total win. Joshy K was amazing. Funny and interesting. Kids and adults had so much fun. A total hit with a range of ages!! Joshy K was a HUGE hit with a group of 7 and 8 year olds (which actually also had a few four year olds in the mix too.) He was on time, a total professional, and had the kids laughing and participating and completely under his thrall. I'd recommend him for sure! Really a great performer and my child loved his energy and style. We were very happy with Joshy K's performance. He was professional and polite. He kept the children fully entertained during his act. I would definitely recommend him. Very entertaining show for the kids and adults--did a great job with our outside venue--personable! 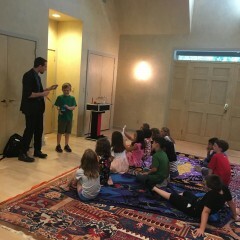 Joshy K. was professional and pleasant, as well as very well received by the kids (ages 3-12). He was able to masterfully manage the crowd. Interactive and funny show left everyone happy, Joshy created and maintained strong positive energy. The kids had a great time with Joshy K. They were very entertained, excited and had a lot of fun. My son loved it and felt very special on his Birthday. Would highly recommend this show. Joshy K was really entertaining ! He kept the kids engaged and even the parents told me how great he was . Highly recommend him ! Josh did a great job captivating the kids. He really held their focus for the full 45 minute show. Josh is funny, his tricks are great and a great performer. I would hire him again! Great event - - - kids loved the show as did parents!!! Kept TWELVE 8 yrs old boys engaged for 45 min! My son loved the grand finale act!!! Joshy is a wonderful magician. He is extremely talented and funny. He came early and stayed late, making tons of balloon animals for the little guests. Our daughter had so much fun, along wiht everyone else. Thanks, Joshy and Gigsalad! Friendly and funny. Enjoyed his performance, incredible with a rubix cube and kids were in awe with levitation finale. thank you! Did a great job engaging everyone! Wonderful performance! Would love to see Joshy K again! I would highly recommend Joshy K and his services to all my friends, family and anybody who wants to have a perfect celebration. Joshy K is prompt and accommodating. He can entertain adults as well as kids. Throughout the whole performance he always made sure that nobody was left out. Awesome job! Can't wait to see Joshy K again! Joshy K. Was great, very friendly and personable. His show was great and professional. The kids loved him and the parents too. He is truly magical, I would recommend him for any party and event. Thank you Joshy K!!! Joshy K was great with our group of 5 year olds. They loved his show! Great experience overall. He was friendly professional and most importantly the kids loved the show. Totally appropriate for the five-year-old group he kept them interested and engaged for the whole 45 minutes. Would definitely recommend! Sharp Blades, Large Wood Crates, Glass Cabinets, Levitating Assistants in Beautiful Dresses, Volunteers Cut-in-Half, with Transformations, Houdini escapes, Laughs, Mind Reading and Audience Involvement. Theater Styled. Backdrop, music, speaker, mics. 30min - 45minutes. Add Balloons / Souvenir Wands / LED jumbo wands to any package! Budget Friendly Magic Show! Decorative Magic Carpet for kids to sit on, magic appearing table full of tricks, lots of audience interaction, laughs, and photo-ops; ideal for up to 25 guests in living rooms / backyards. Backdrop, portable speaker and music add a true feeling of magic using theatricality. Ideal for up to 200 guests. The Grand Finale features your child "Defying gravity" Levitating through a hoop! David Copperfield, Mac King, Penn and Teller, Broadway.